Do you love kawaii and crafts? This video will help you make a cute kawaii barrette! The Japanese are so creative with their fashion! Here's a video we found on youtube that showcases Tokyo Street Fashion. Some very creative and cute stuff. Enjoy! 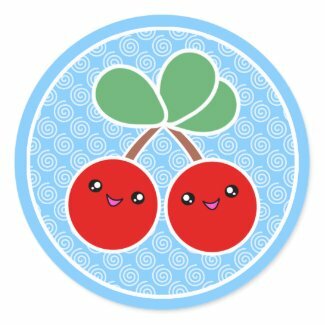 Cute-en-ize anything with these adorable sweet kawaii stickers! Happy Saturday! 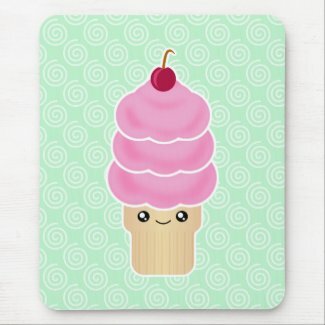 Who doesn't love cupcakes especially when they are decorated in an ultra cute way? We came across this video on youtube that showcases some of the cutest cupcakes we've seen! Very creative and so incredibly darling. Off to go make some cupcakes now. Enjoy. 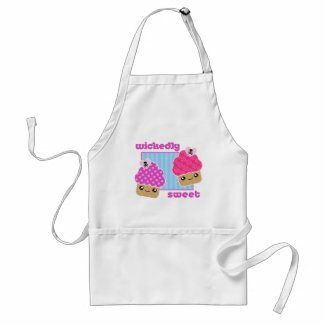 Why not go all out with the cupcake theme and look cute when making your super kawaii cupcake masterpieces in these fun cupcake aprons! 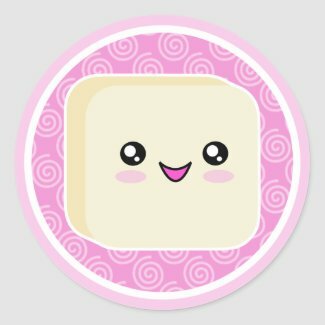 It's hard to look at these super sweet kawaii marshmellows and not get a sugar rush! Adorable! Let's all go out and have some ice cream! Nothing is better on a hot day than some sweet ice cream and these darling cuties hit the spot. Yummy! We wish all the Dads a happy and wonderful Father's Day today! Below is a fun video we found on youtube from fastORIGAMI. It's a tutorial on how to make an origami collared shirt with tie card for Father's Day! Enjoy! Cute Video Tutorial To Make Your Own Hello Kitty Bag! We found this tutorial on youtube from contributor Evalrie on how to make your own Hello Kitty bag! It's adorable and cute for storing makeup or other little bits and pieces! Enjoy!! Do we ever get tired of those yummy sweet darling cute kawaii cupcakes? No, of course not! More More More! Here's another cute commercial for Glico candies that we found. It is for Thailand television. The candies a really darling! I love it when they say kawa-ii!! So cute. Hope you enjoy it! Grab a fabulous kokeshi doll shirt for you or a loved one. Order 2 sizes larger for a comphy fit. I admit it, I am a bit of a freak about pens and pencils! I love them, especially when they are cute! Here's a fun video we found on youtube made by From Japan With Love that showcases a variety of super kawaii Japanese pencils. And if you visit their website you'll find lots of cute Japanese products to buy! :-) Enjoy. Here's a Japanese ice cream commercial that we found on youtube and though we'd share. It's just silly fun! Enjoy. Take a look at this ultra cute Chinese commercial for the McDonald's Hello Kitty menu. OMG! I am so lovin' it. Hello to all the new Zazzlers from Japan! Yep, that’s right! Yesterday (it was actually already *tomorrow* in Japan… weird!) we launched our newest foreign website, http://www.zazzle.co.jp/. Now, customers in Japan can browse and shop the Zazzle marketplace in their own language, and can pay for products in their own currency. 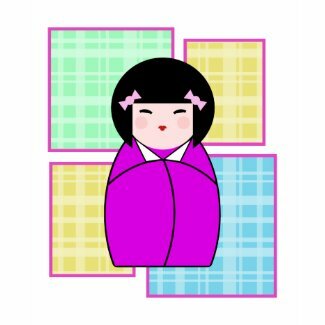 We’re also extremely excited to welcome new Sellers to the Zazzle marketplace from Japan. After all, this is the country of Anime and Manga, so we can’t wait to see what happens! My name is Manami, by the way, and I’m the localization specialist for Japan. Gotta go now, because there’s still a lot of work to be done! Shop The Spotted Olive™ Japan. Send some love with these adorable kawaii greeting cards. 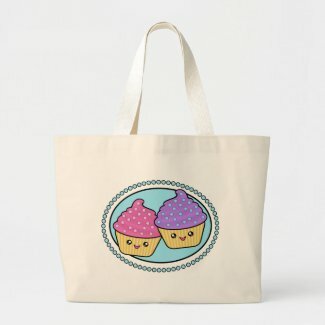 Unique and cute and sure to delight your friends and loved ones. Check out this funky crazy cool commercial for the Hello Kitty line of Mac Cosmetics. I love the black and white dress and the little Hello Kitty plushie the girl is holding at the end. Hello Kitty is a bit edgy in this one! 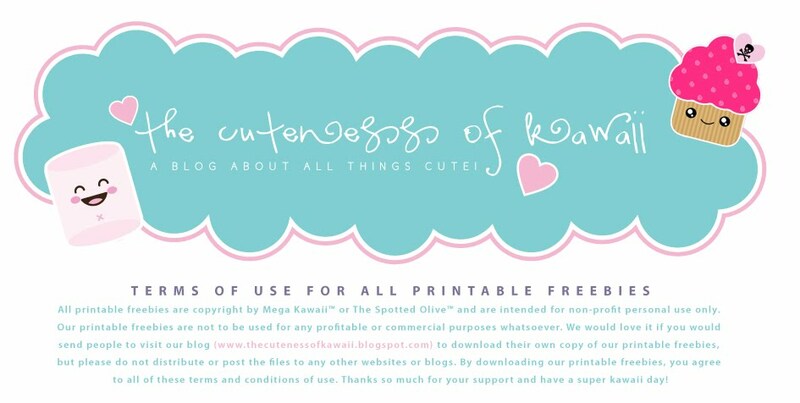 Thanks for stopping by and checking our our FREE kawaii printable June 2010 calendar by The Spotted Olive™! It's super cute! 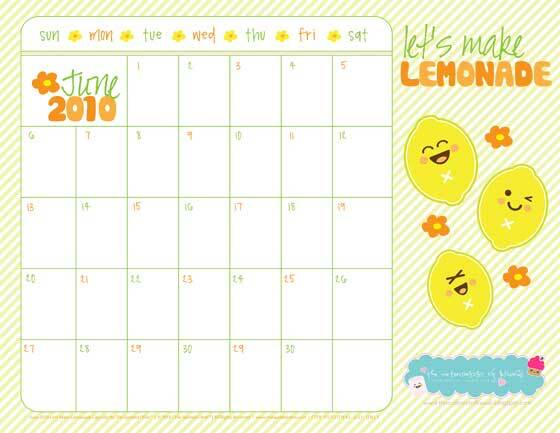 The image above is a small version of the actual calendar. Download the 11" x 8.5" printable version of this calendar by clicking the following link: Free Kawaii June 2010 Printable Calendar! Print on LANDSCAPE setting and FIT TO PAGE on 8.5 x 11 paper. Just a little fun with these darling kokeshi doll items, they are just too sweet to resist. Grab a shirt or card for a friend's birthday!